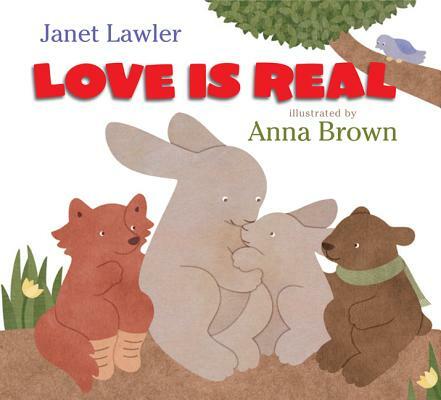 From author Janet Lawler comes a charming story celebrating the power of love, with warm and tender art from debut picture-book illustrator Anna Brown. Young readers will delight in following along families of foxes, bunnies, and bears as they learn about the nature of unconditional love in Love Is Real. Janet Lawler is the author of Tyrannoclaus, If Kisses Were Colors, Snowzilla, A Father's Song, and Ocean Counting. Her love of family and nature inspires much of her writing. Her family shares their home in Connecticut with a dog, a lizard, and assorted wildlife visiting the backyard. Anna Brown grew up in Sheffield, England, and studied illustration at Loughborough University. She went on to complete a master's degree in children's book illustration at the Cambridge School of Art. She now lives in Bath, where she works as an illustrator and designer. Love Is Real is her first illustrated picture book.